Do You Have the Facilities Manager’s Secret Weapon? Do you even know where to start each morning? As a facilities manager, you’re dealing with scores – if not hundreds – of service requests, emergency issues, outstanding proposals and more. Some require immediate action or later follow up, some don’t. But which ones to jump on first? When time’s an issue, it can be a challenge to know where to turn. But facilities managers on top of their game have a powerful tool that gets them focused exactly where they need. A facilities manager-specific online dashboard is a must have for anyone having to manage those work orders and emergency issues that truly do require immediate attention. This visual window into the critical open issues saves time by identifying the issues to be addressed before they become major problems. So what does an actionable dashboard show and how does it help? A dashboard provides a single summary page, viewable as soon as you login to your FM software platform, of exactly where things stand and exactly what you need to worry about. This way you spend less time figuring out what to do, and more time actually doing! Even when a work order workflow is fully automated and requires no attention, there may be some instances when a particular work order may stall in the process. For example, if a contractor’s late to arrive for an emergency plumbing work order, you can easily see this with a dashboard – without having to dig into all your open work orders – and remedy the situation. Now a facilities manager knows where the problems are in one’s work order lifecycle. What makes this powerful is the ability to easily zero in on exactly which issues you want to see by filtering issues by trade, category or region. This allows the FM to see just the issues for which s/he is responsible. Another key advantage is being able to define exactly when a work order is defined as ‘late’ so it’s specific to one’s own company’s definition. How Can Facilities Managers React in Real-Time? Most facilities managers have a story of not having responded to an issue requiring prompt attention quickly enough…and the corresponding problems that occurred because of that. Here are a few scenarios where a facilities manager has been able to avoid negative impact to the local location. Emergency Action: There’s an emergency plumbing WO to fix a significant pipe leak – but the plumber hasn’t arrived as necessary. The FM can instantly see that the plumber’s not on site yet and follow up immediately, avoiding any major store damage. Instant Proposal Response: An A/C tech is on-site and realizes the required fix will exceed the NTE (not-to-exceed) limit. The contractor’s office immediately creates a new proposal to fix the unit. 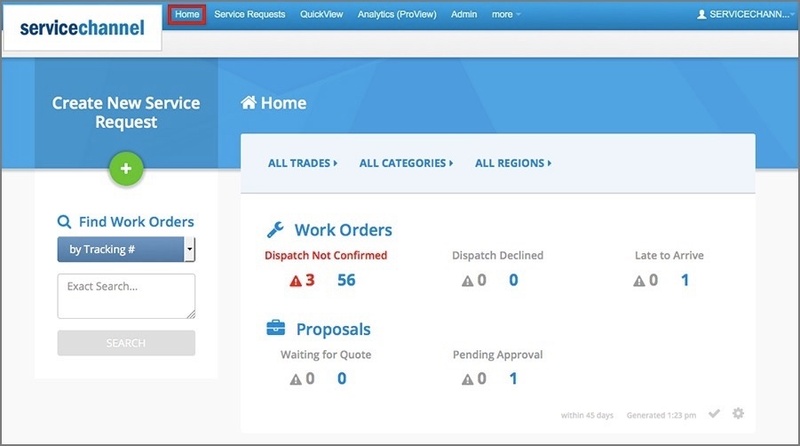 This new ‘proposal pending approval’ is highlighted on the dashboard so the FM sees it and can approve it right away – while the tech is still on-site, reducing time-to-completion and eliminating a second trip fee. Rapid WO Reassignment: First thing in the morning, a facilities manager can instantly learn that there are several ‘dispatched work orders declined.’ S/he can quickly identify them and immediately engage another contractor, resolving the open issues significantly faster. All these cases demonstrate the importance of being able to identify just those issues that require immediate attention. With this type of facilities management ‘actionable’ dashboard, the facilities manager can migrate to a more effective manage-by-exception model, ensuring issues get resolved faster, ongoing damages can be minimized and R&M costs are reduced.